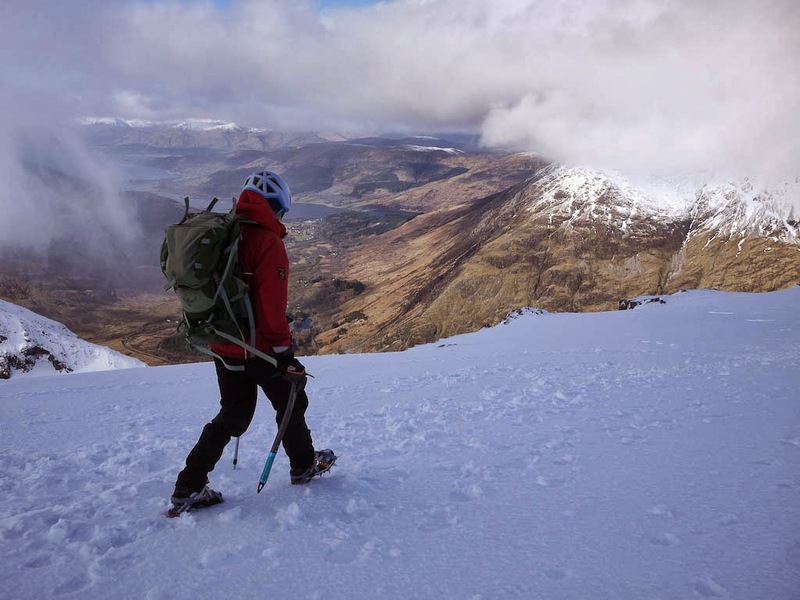 Following a week-long winter skills course in north west Scotland, run by a UK-based mountaineer, Rob Johnson, I can share some parallels between operating sustainably in the great outdoors and in business. 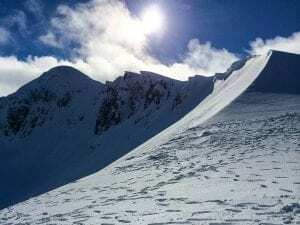 The mountains of Glen Coe are beautiful and perilous in equal measure and especially so after the heaviest snowfalls in recent years, with up to 18 metres deposited in the thriving Highland ski centres. To successfully explore this stunning landscape our team had to agree a sustainable strategy, in a similar way that a business has a strategy to explore and develop its chosen markets. 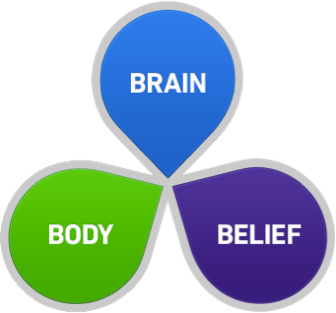 The key factors can be summarised as a blend of Brain, Body and Belief. Brain-related activities meant clear planning to allow us to navigate safely, amid challenging and potentially dangerous conditions. 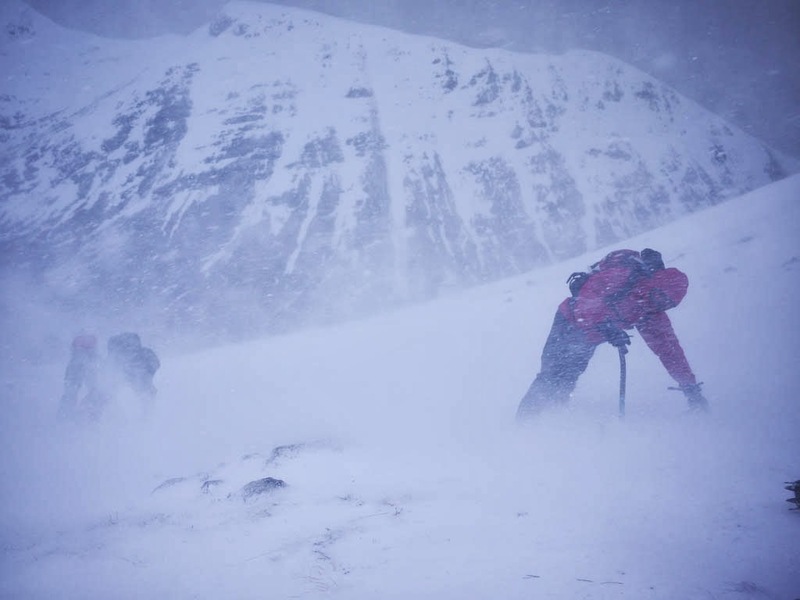 We poured over daily weather reports and avalanche forecasts before setting out and evaluating the conditions we met on the ground – checking which mountain conditions were wind scoured and relatively safe and which harboured wind deposited snow – the unstable wind slab and fragile cornices, which can trigger avalanche. We chose our route carefully along any ridges, to avoid becoming another victim of cornice collapse. Typically meaning uncharacteristic behaviours like stumbling, mumbling, grumbling or fumbling. In a business context, uncharacteristic behaviours show up when people are suffering from stress or exhaustion and demonstrate that their mental and/or physical resources are depleted. They are unlikely to be able to deliver against an ambitious growth plan in those circumstances. Back in the mountains, even after checking the forecasts, planning a safe route and packing the right gear to see us through the day, there’s a third factor that could either help or hinder our plans – belief. Successful entrepreneurs talk about having an unwavering belief to get them through the tough times, when obstacles appear that they hadn’t anticipated and plans don’t quite work out. Belief played its part on our final day, on an approach to the summit of Buchaille Etive Beag, or Wee Buchaille as it’s affectionately known. Strong winds and heavy snow were forecast in the afternoon and we’d planned to sneak up to the summit before lunch, to avoid the bad weather. We roped up a team of 6 people, with Rob leading and we were making stead progress upwards when in true Scottish tradition, the weather changed. A hailstorm whipped up by 60mph winds pinned everyone face down in to the snow as we tried to avoid being blown off. At that point, it took belief in the technical skills we’d been taught, in our own ability to apply them and in the person leading the group to enable us to retreat safely to lower ground. In a challenging environment, where the outcome was uncertain, belief helped the team to focus on making every step count, rather than complicating the situation by rushing to get down. Buchaille Etive Beag, one of the team trying not to get blown away! Is there a clear strategy – a plan to get your business where you want it to be? How prepared are the individuals and teams within your business for the plans you have in mind? Are there any skill gaps, limiting beliefs or conflicting values present in your business culture, that could derail your plans when obstacles appear? Could it be worth road testing your business strategy and reviewing its sustainability, before the metaphorical umbles set in? With thanks to Rob Johnson of www.expeditionguide.com for an exhilarating week. Previous articleWill Google Make or Break Your First Date?